JOHN 3:15 with January or Garnet Swarovski Crystals, shown with gold and silver beads and 3 add-on charms; Birthstone Crystal Dangle, Gold Cross Charm and a Gold Initial Charm. This is a 14k gold-filled and .925 sterling silver bracelet with Red or July Swarovski Crystals. You choose the Bible Verse and the color of the stones. 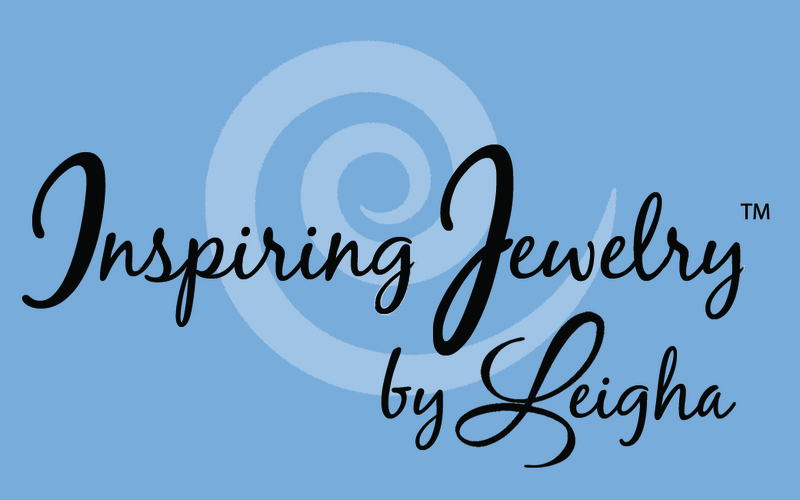 The block letters are sterling silver 5.5mm with 14k gold-filled saucer beads in between the letters. It is shown with a gold lobster claw clasp (included in the price). 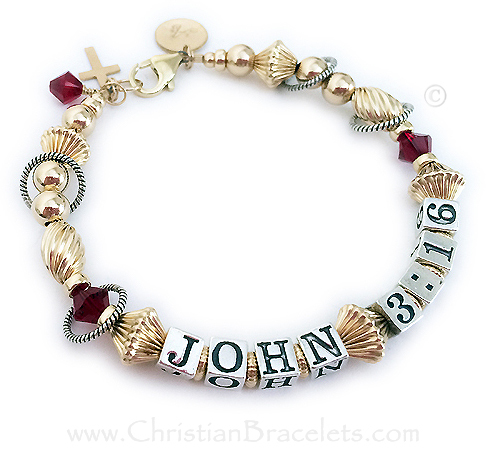 This bracelet has JOHN 3:16 which is a beautiful verse. You may choose any verse. If there are more than 8 blocks it will change the design.